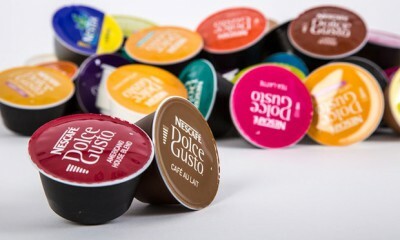 Nespresso is a Nr.1 brand for single-serve coffee making technology. They started more than 25 years ago, and until now are going on to innovate their coffee brewing systems. Every time they add new features and functions making their devices and appliances better and more useful. In this post, we will give a full review for the newest model of Nespresso manufacturing ― VertuoLine Evoluo. It is the unique espresso and regular coffee making system that will allow you to make your kitchen into a small coffee house. Let’s look closer and find out the most notable features. 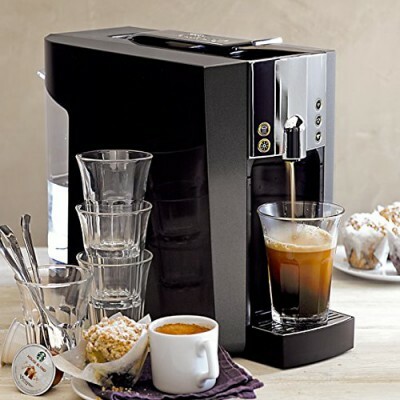 The Verismo is a coffee machine series that was created by Starbucks for those who thinks one’s life unimaginable without favorite beverages. Black coffee, lattes, cappuccinos ― every drink was concluded in one unique pod (capsule) that saves the flavor and taste of each coffee bean taken, roasted and ground. 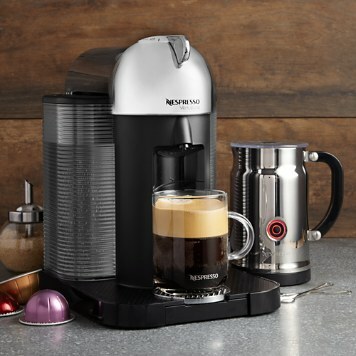 We will give you quite a full overview of the Verismo 600 system and will help to find the most notable features of the device in our post below. So, feel free to start reading. Single-serve coffee brewing technology get its popularity through the world mainly thanks to the brand giants of capsule-system: Nespresso, Dolce Gusto and Tassimo. But these are not the only brands in the market. There are a lot of quite successful companies and corporations manufacturing not only coffee pods but also brewing systems. Keurig is one of them. 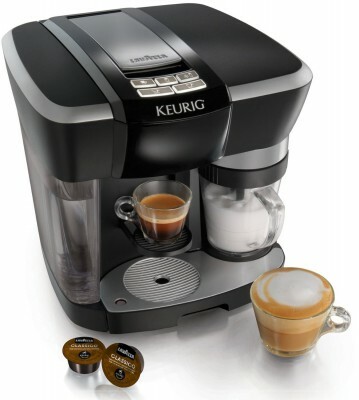 Keurig Rivo is a special single-serve technology used by the Keurig Corporation to brew real Italian espresso as well as some other hot and cold milk beverages such as cappuccino and latte. For these purposes, system uses Rivo-fit capsules mostly of an Italian coffee brand Lavazza. Capsule or single-serve coffee brewing technology is one of the most popular in the world, because it allows an ordinary coffee lover to get a cup of perfect-tasted beverage in short time without recourse to the barista or visiting the coffee house. It sounds amazing, somehow, but still. To get a drink, you only have to insert the pod with your beverage in the special slot, push the button or move the slider, and minute later enjoy rich, intense coffee with peculiar foam on its surface. Pod coffee machines have several advantages, first of which is their low price while comparing it with other coffee brewing systems and technologies. This thing clarifies their popularity and quite a wide range of the choice. Which one to get? Let’s look at the top 5 best capsule coffee machines.